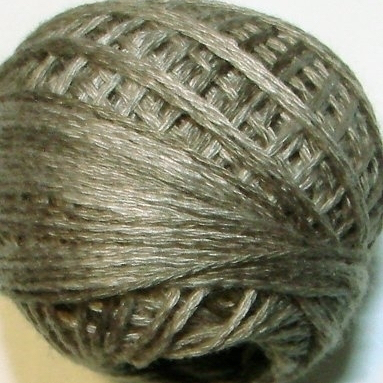 Valdani 3-ply cotton embroidery floss in colour Tea-dyed Stone (O178). Colour #O178 - 29 yards. Perfect for punchneedle. We've only ordered in small quantities in order to get a large range. If your colour is out of stock, more will follow soon. Click the notify button to be informed about stock arrivals.